Musicals, operas, a circus, and more! Here are the shows you shouldn’t miss this August. 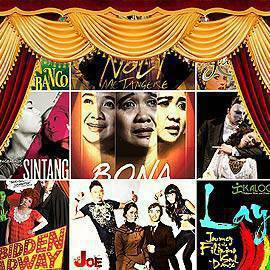 (SPOT.ph) Get ready for parodies, homegrown arts and culture, international performers, and a few off-Broadway shows. Did we mention that the circus is coming to town? 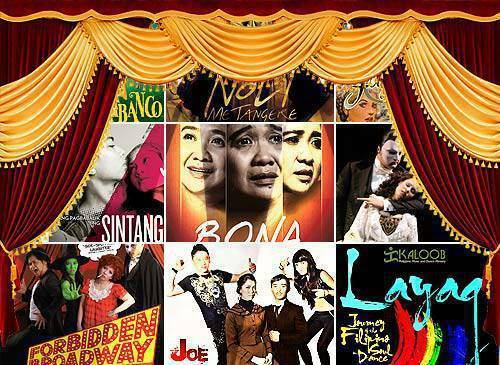 It's going to be a festive month for Manila's theater fans. When: August 1, 3 p.m. & 8 p.m.
Synopsis: This one-hour dance concert directed by Agnes Locsin explores "the literal, physical, and symbolical virtues of the texture and strength garnered from the trunks that bear the weight of life." It features international artists and Ballet Philippines alumni Gaye Galiluyo and Georgette Sanchez. When: Aug. 1-4, 7 to 11 and 14 to17 at 7 p.m., Aug. 4 and 11 at 2 p.m., and Aug. 11 at 10 a.m.
Synopsis: This dramatic piece is forged from two writings: Ang Sintang Dalisay ni Julieta at Romeo by G D. Roke in 1901 and Romeo and Juliet, Rolando Tinio's translation of the William Shakespeare classic. Set in Sampurna, an imaginary Muslim community, the story revolves around secret lovers Rashiddin and Jamila, who come from prominent families mired in an age-old hatred for each other. When: Aug. 1, 2 and 8-10 at 7 p.m.; Aug. 11 and 12 at 10 a.m. & 3 p.m.
Synopsis: Under the tutelage of vocal coach Camille Molina and director Alexander Cortez, UP's opera singers breathe life into Jose Rizal's timeless novel retold by National Artist Felipe Padilla de Leon. Ticket prices: P250. Student and senior citizen discounts apply. Purchase tickets at the door or via Dulaang UP at (02) 926-1349, (02) 981-8500 loc. 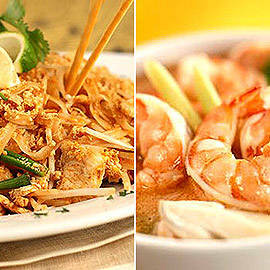 2449, and (02) 433-7840. When: Aug. 1-4 at 10 a.m., 3 p.m., & 6 p.m.
Where: William Shaw Little Theater, De La Salle University, Taft Ave.
Synopsis: To open the 46th season of the Harlequin Theater Guild, directors Rielle Ramos, Andrea Villaflores, Antoinette Go, and Zoe Delos Santos bring to life four short Filipino stories penned by Genaro Gojo-Cruz-Mcdonalisasyon, Posporo, Ang Pigtas Kong Tsinelas, and Mga Anak ng Bayan. When: Aug. 3 at 8 p.m. & Aug. 4 at 3 p.m.
Synopsis: To keep our Filipino arts and culture from fading, Layag brings back authentic and centuries-old music and dance onstage. This colorful festival aims to tell the story of the Filipino, which is "not written on paper, but in music and dance." When: Aug. 4 & 11 at 3 p.m.
Synopsis: Catch the last two shows of this campus hit directed by Toff De Venecia. 13: The Musical brings us back to our awkward days as a 13-year-old, where fitting in is as tough as math homework. Both cool kids and geeks at heart will enjoy the catchy musical numbers and comical acting of Ateneo's talented thespians. Synopsis: Florante at Laura, the Francisco Balagtas story that almost every Filipino high school student is familiar with, is back onstage. The timeless love story of two pairs of lovers, Florante and Laura and Aladin and Flerida, is set in the dark kingdom of Albania, which is caught in a web of chaos. See how true love conquers all and bravery restores peace to the land. Synopsis: If you think you know all there is to Jose Rizal, think again. This original Filipino rock musical deconstructs the schoolbook ideology on our national hero. Playwright and director Vince Tañada presents the more human side of Joe as opposed to the demigod image that Filipinos have known him for. When: Aug. 9 at 8 p.m., Aug. 10 at 4 p.m. & 8 p.m., Aug. 11 at 4 p.m. & 8 p.m., Aug. 12 at 1 p.m. & 5 p.m., Aug. 14 at 8 p.m., Aug. 15 at 8 p.m., Aug. 16 at 8 p.m., Aug. 17 at 8 p.m., Aug. 18 at 4 p.m. & 8 p.m., and Aug. 19 at 1 p.m. & 5 p.m.
Synopsis: After the success of Fuerza Bruta, Cirque De Soleil is back! A cast of 50 artists from 20 countries is coming to Manila for a "kaleidoscopic celebration of awe-inspiring artistry and agility." Brace yourselves for breathtaking acrobatics, circus characters, festive performances, and gravity-defying acts. Ticket prices: P10,500, P7,500, P5,500, P3,500, P2,500, and P1,200. Children four feet and below get 20% off the regular rate. When: Aug. 9 at 8 p.m., Aug. 10, 17, and 25 at 3 p.m. & 8 p.m., Aug. 11, 18, and 26 at 3 p.m. & 8 p.m., Aug. 12, 19, and 27 at 3 p.m.
Synopsis: Severino Reyes' libretto first presented in 1902 resurfaces in our modern era to show us how a love affair can spark a revolution amidst the American colonization. Multi-awarded filmmaker Carlitos Siguion-Reyna debuts as Walang Sugat's musical director, while "Bayan Ko," one of the most popular patriotic songs of the Philippines, is featured in this sarswela. Ticket prices: P800. Student and senior citizen discounts apply. Where: Various schools and locations. Visit Repertory.ph for the full list of dates and venues. Synopsis: L. Frank Baum's masterpiece comes to life with Repertory's interpretation of the magic of Oz. When a tornado whisks Dorothy away from Kansas to the land of Oz, she goes on a quest to find the mighty wizard who has the power to send her back home. In her journey she encounters unique characters such as the Tin Woodsman, Cowardly Lion, and the wicked Witch of the West. Not to be confused with the hit MGM film, this local version of Wizard of Oz does not include songs from the original 1939 fantasy film. 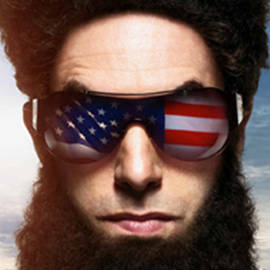 Synopsis: After its successful run in May, "the funniest show in New York" is back for a limited engagement. This musical revue features popular songs from Broadway musicals such as Rent, Mamma Mia!, Wicked, and Cats with satirical lyrics that poke fun at the shows and original stars. Director Joel Trinidad promises surprise guests for the three shows in August. Synopsis: Lino Brocka's critically acclaimed film, which originally starred Nora Aunor and Philip Salvador in 1980, is making its theater debut set in contemporary Manila. Actress Eugene Domingo plays the title role, a spinster call center agent who becomes a fan of Gino Sanchez, a contestant in the talent search, Star of Tomorrow. Her disturbing obsession with Gino pulls her into a quicksand of worship and pity. Cast: Peter Jöback as The Phantom, Sofia Escobar as Christine, and Killian Donnelly as Raoul. Click here to view the tentative cast. Synopsis: Andrew Lloyd Webber's masterpiece finally comes to Manila. Watch Christine, Raoul, the disfigured musical genius known as The Phantom, and the powerhouse international cast perform Broadway classics such as "Music of the Night" and "All I Ask of You" live for the Manila audience. Synopsis: Not to be confused with A Very Potter Musical, the YouTube hit that forayed Darren Criss into Glee stardom, Potter Potter is another Harry Potter parody that will leave both wizards and muggles in stitches. Written and performed by two-time Olivier Award-nominated actors Daniel Clarkson (not Radcliffe) and Jefferson Turner, Potted Potter is "perfect for ages six to Dumbledore (who is very old indeed)." Synopsis: Based on the children's book written by Palanca hall of famer Ed Maranan, this production features a timely environmental message in a mythical setting. Lisa Macuja-Elizalde is onboard as the artistic director with Osias Barroso as artistic associate. Ticket prices: P600. 50 % discount for students. Synopsis: One of the few horror plays in the world, The Woman in Black is based on the novel by Susan Hill. It tells the tragic tale of Arthur Kipps through a performance by a hired Actor. As they re-enact the strange occurrences during Kipps' short stay in the Eel Marsh House, they soon discover a malevolent figure that refuses to be exorcised. Ticket prices: P500 for regular admission. 25% off for students and teachers. 50% off for Kalay students and staff. Photos from Facebook (Ballet Manila, Ateneo Blue Rep, DLSU Harlequin Theater Guild, Dulaang Kalay, Dulaang UP, Gantimpala Theater Foundation, Kaloob: Philippine Music and Dance Ministry, PETA, Philippine Stagers Foundation, Tanghalang Ateneo, Tanghalang Pilipino, and Upstart Productions), lunchbox-productions.com, repertory.ph, smtickets.com, and ticketworld.com.ph.